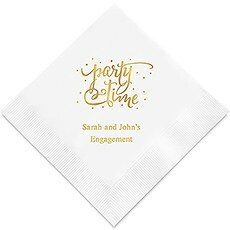 There are many different occasions that you'd want to celebrate with an event that brings together family and friends. Since designing a big bash can get expensive, The Knot Shop offers ways to enhance and personalize your party decor without having to spend a lot of money. 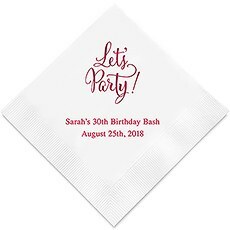 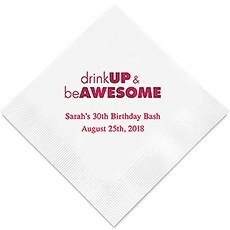 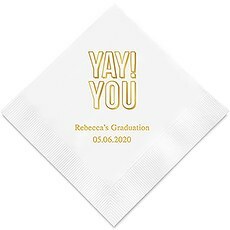 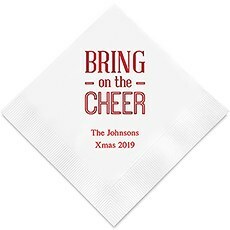 Our personalized paper Christmas napkins, which can be used for bar mitzvahs, bat mitzvahs, baptisms and communions, in addition to other special occasions, is a great way to do this. 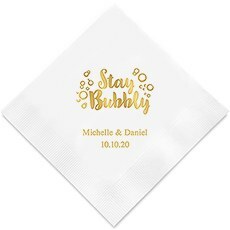 You'll find unique designs imprinted with heat-stamped metallic foil, which are available in various vibrant colors. 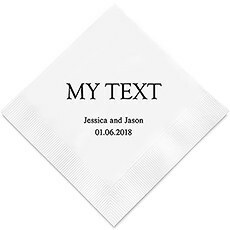 Combined with a colored napkin, the result is a stunning memento, in addition to a practical table accessory.Browse our designs for one that best suits the person celebrating and the occasion. 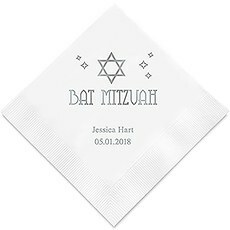 We have an elegant Baptism print that features a dove and olive branch, a classic First Communion print with a small cross plus Bar Mitzvah and Bat Mitzvah designs featuring the Jewish Star of David. 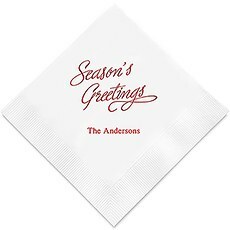 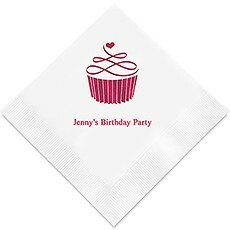 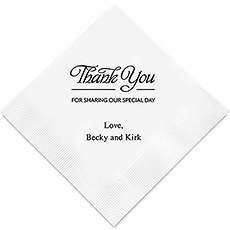 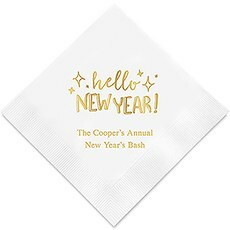 There are also Merry Christmas, Season's Greetings and Hello New Year personalized napkins for holiday parties. 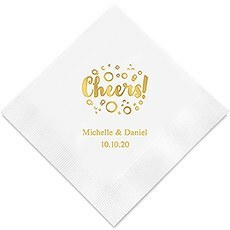 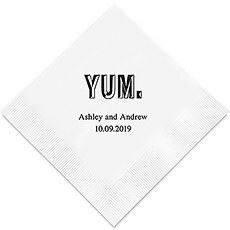 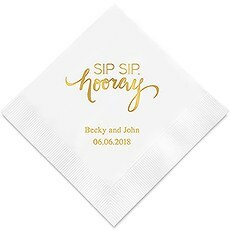 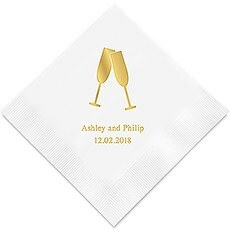 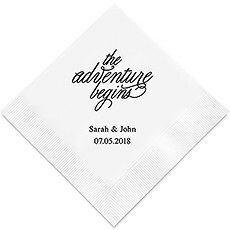 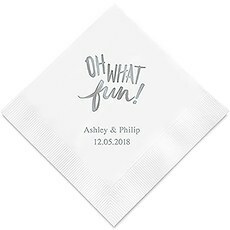 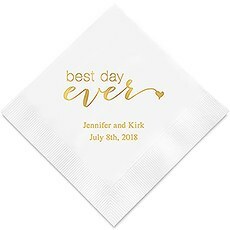 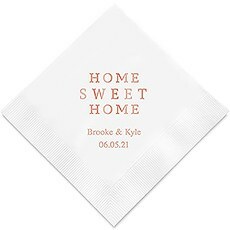 These classy customized napkins add a warm, personal touch to your special events.Other personalized products that we offer, which can be color coordinated with these napkins, include table numbers, place cards, coasters, glassware and matches.The Knot Shop is part of Weddingstar Inc., your trusted partners in creating beautiful decor for weddings, anniversaries and other occasions for more than 34 years. 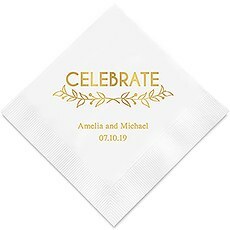 We offer exclusive products that are inspired and created by our talented people. 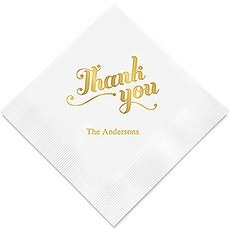 We're committed to excellent customer service, and our expert staff are available to help you design decor for your event that is a reflection of your personal style.